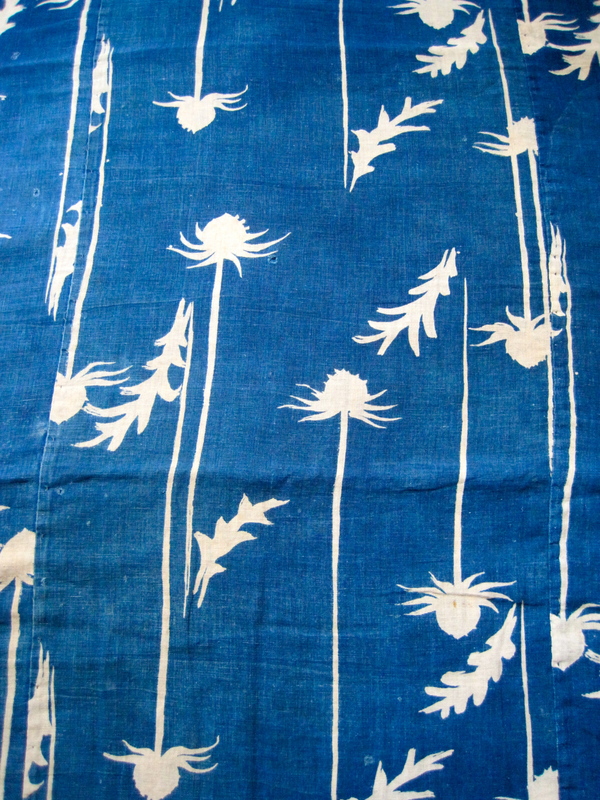 I found this katazome fabric a few years ago. 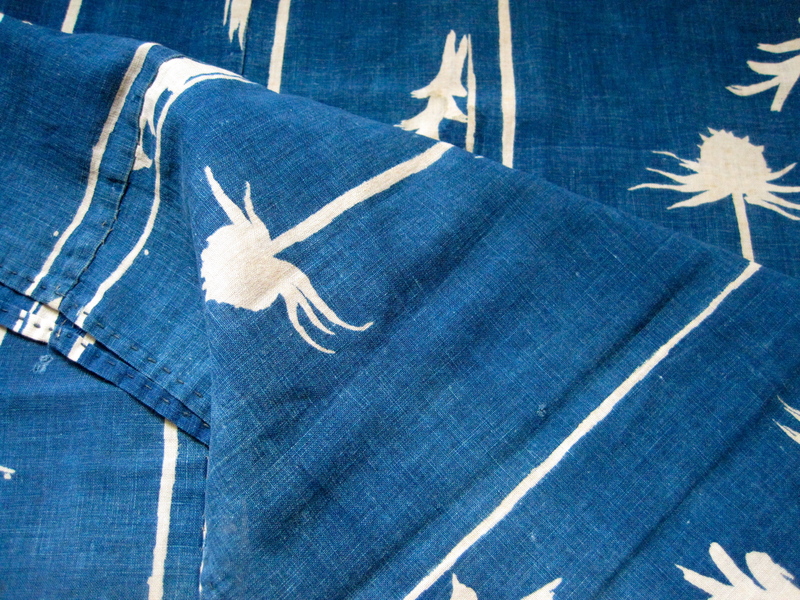 It dates to the early 20th century and is made of machine made cotton. I think it must be the most beautiful katazome ever produced. 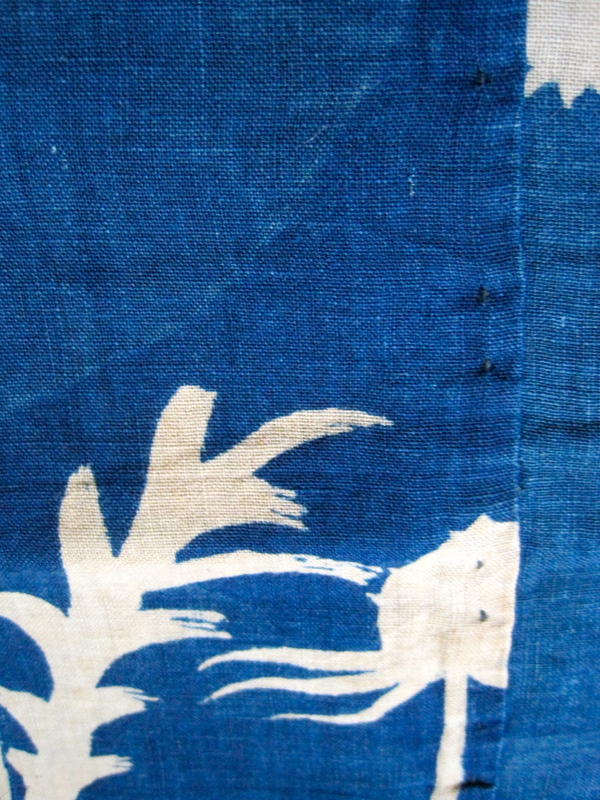 Katazome is produced by pushing rice paste through a stencil, traditionally made of handmade paper treated with unripe persimmon juice, onto fabric. The rice paste is allowed to dry slightly before being dyed. the rice paste is then washed off to reveal the design. 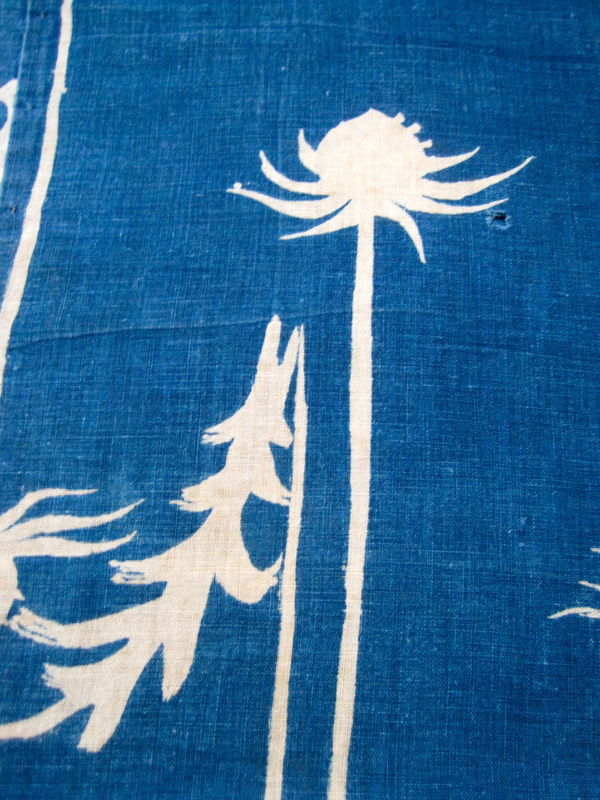 I adore the design of elongated sea holly flowers on this fabric. 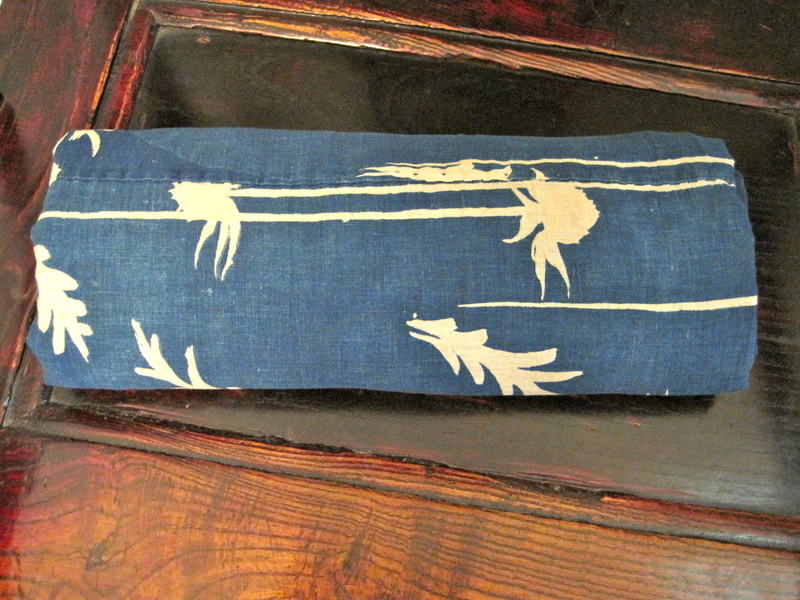 I think this fabric was once used as a futon cover. what a beautiful pattern to fall asleep under.